Whether a elder in the pulpit, a preacher on the street, or a believer seeking to be a faithful witness, we can all glean from this. In Ancient Greece, heralds had a specific role in the culture with a specific reputation. It is that reputation that I am going to use as illustrative examples concerning a believer’s/preacher’s duty to spread the gospel. Although we know that the Bible is sufficient for life and godliness, still, illustrations are a powerful tool to help nail the truths deeper into our mind and make plain what is simply less memorable to some. With that said, here are some points that will help us reaffirm our calling as ambassadors and heralds of the gospel. Once again, these points are purely illustrative, not expository. But they nevertheless communicate biblical truth. A herald was often called kerukes, which meant “herald.” In Ancient Greece, the name was often ascribed to a traditional family of priests thought to have descended from Hermes. However, it was used for anyone that was designated to carry a message. A herald (kerukes) can also be associated with any kind of messenger (angeloi) or envoy (presbeis), although not operating in the same manner as a herald. The Bible declares that we are ambassadors (presbeuo) for Christ, and that we are to implore mankind as though God was pleading with man through us (2 Cor. 5:20). with the angels and considered family in the work of being a messenger (Rev. 22:8). interpret those signals and immediately declare them to the town. declare them unto those who are in our town (Col. 1:27-29; Heb 1:2). Heralds carried a staff with them called kerukeion which not only established their identity and office, but it was also a visual reminder that they were under the care of the Greek messenger god Hermes. And just like Hermes, whenever they were seen with the rod in hand, it signified that they were about to announce an official message. our hearers that we are about to announce an official message. Hermes was commissioned by Zeus to be his messenger and in turn, Hermes commissioned others to be heralds. Some families appointed kerukes because it was an inherited right. Other heralds were elected and/or dispatched by a legislative assembly of leaders called boule. inherited right to herald the gospel into the world. to every creature. Although this should be something that a local church should support, equip, and encourage one another to do, this is not always the case. In this instance, we must remember that our authority to share the gospel comes from Christ first and foremost. Heralds were often chosen for their ability to carry their voice over noise and distance. If we plan on preaching in the open air, a general principle is that we should speak to be heard. This requires skill and clarity on the part of the speaker so that every detail of the message is not muffled because of inability or negligence. powerful as 50 men. He was the herald for the Greek forces during the Trojan War. Although it is not mandatory to have this kind of voice, we must still speak to be heard. In military contexts, kerukes would be in close proximity to the commander to carry forth orders. Furthermore, they were called upon to rally the troops together, and also were sent out to recover the dead bodies of those slain (specifically in war) and bring them back. commands to His enemies, but also declare to the allied forces that they are to be in obedience to His commission! these poor souls and bring them all back to God through the power of the Holy Spirit. Heralds were not only used to convey information, but collect it. up on His Word and Spirit. Greek heralds were sent out to declare policy, demands, and decrees abroad. Also, they would announce warnings, or offers, to hostile cities or armies, as well as declare war itself. More often than not, kerukes were denied entry into warring cities as a sign of protest or insult. We are to be faithful in declaring the policies, demands, and decrees of God to all. conditions of peace and judgment from the King. message, but this should not deter us. Although done as sign of protest and insult against God, we are to be steadfast in delivering the message whenever possible (Luk 6:22). As a final illustration, we will use a famous herald, Phidippides, as an example of a faithful messenger. According to myth, Phidippides ran 26 miles from the battle of Marathon to Athens to announce Greek victory in war. Depending on the source, the message was somewhere along the lines of “Joy to you, we have won” or “Rejoice, we have the victory.” It was after proclaiming this that he breathed his last breath and died. done, let us be found faithfully preaching the glorious gospel until our LORD comes for His bride. In all the discussions I’ve tried to have with papists, I can count on one finger those who were willing to discuss the issues rather than merely put up a defensive shield constructed of Romish fables. One thing I try to do us show them from friendly sources how bizarre some of their beliefs are. They cannot see the truth unless YHWH opens their eyes. May He use the foolishness of His gospel and the outrageous errors of Satan to do so. There is no peace with God other than by grace alone by faith alone in Christ alone. For He has told us there is no other name under heaven or on earth that can save men and there is only ONE mediator between God and man – the God-man Jesus Christ! There is no room for you or me – or for Mary. Even IF she could undo all the knots. Here are their words from the web site Mary Undoer of Knots. This Novena is known around the world…..and can change your life. Why a Novena? Why nine days? Mary stayed during nine days surrounded by the apostles in the cenacle, praying for the presence of the Holy Spirit. In this persevering type prayer, She taught us the constancy and ardour of faith, so that we do not get discouraged when direct a petition to God. The Mother of God prayed and gave courage to the apostles to pray for the duration of nine days, in order to receive the most important and precious treasure for human life – The Holy Spirit. Prayer is man’s strenght which shakes the heart of God because “nothing is more powerful than a man who prays” (St. John Chrisostomus) for they are participating in God’s power. “All graces we desire need to be asked through Mary, She provides everything we need” (St. Alphonsus Ligori). “All gifts, virtues and graces are dispensed by Her hands to whom She wants, when She wants and how She wants” (St. Bernardin of Siena). Look at the picture of Mary Undoer of Knots! In this angelic court, two angels stand out. One of them holds on to a ribbon, the ribbon of our life, which is full of knots big and small, loose and tight. They are the knots of our life, the knots of anguish and despair of separated couples, the dissolution of the family, the knots of a drug addict son or daughter, sick or separated from home or God, knots of alcoholism, the practice of abortion, depression, unemployment, fear, solitude, etc. Then, Mary takes our life into Her compassionate hands and with her long fingers of mercy goes on to undo each knot, one after the other. Look at Her. Feel the attention, love and tenderness with which She does this, hearing our plea, the supplication of a beloved child! This ribbon becomes free of any type of knot, reflecting all the mercy and freeing power of the holy hands of Mary Undoer of Knots. The power of this Novena is the unlimited hope which through our faith we put in our Mother’s hands. What kind of mother would be insensitive to the screaming pain of her son? This Novena opens Mary’s heart ( compassionate and sensitive) to Her sons, because She wants to reconcile them with Her Son. Because the constant increase in the number of devotees to the Novena, we are convinced more and more of the line in Saint Bernard’s prayer: “Never was it known that anyone who fled to Your protection, implored your help, or sought Your intercession was left unaided.” (St. Bernard). Back to reality. Note that last statement, amidst all the heresy? The one who prays is more powerful than the one to whom he prays. If that doesn’t clarify the nature of their god, I don’t know what will. This article contains an excerpt that was taking from my book, Apocity: The Greatest Omission which can now be downloaded for free. This portion of the book is emphasizing the true meaning behind 1 Corinthians 12, and how this passage cannot be used as means to say that evangelism is the “mouth” of the body, and therefore, seeing that we have differing roles/gifts, not everyone can be the mouth. Sadly, there are variations to this excuse. not all gifted with the gift of evangelism, and the mouth is the metaphor they use to describe those that do have it. Once again, this is urban legend, and I will clear up this confusion. When you look at 1 Corinthians 12, right from the get go, in verse 1 Paul clearly says, “now concerning spiritual gifts.” This is a good clue that Paul is about to clarify some things for the Corinthian church. This issue with spiritual gifts and the divisions within the church was one of the reasons Paul wrote 1 Corinthians in the first place. In verse 4 he mentions how there are “diversities of the gifts” that come from the same Spirit. Verse 11 reveals how the Spirit passes out gifts as He wills (This challenges those who think that you have to speak in tongues as proof that you have received the baptism of the Holy Spirit. See Chapter 5). Then, in verse 12, Paul begins to emphasize the unity of the body not only because we are all partakers of His Spirit through salvation (v13), but also because of how the diversity of the members affect the unity of that body. In other words, Paul is trying to give us an illustration that even though there are different gifts within the body of Christ, these divisions of gifts do not mean we are divided as a body. We are unified together by the Spirit, who distributes these gifts, and one gift is not more important than the other in the grand plan of the Church. Are you following? If not, this next part may be harder for you to grasp. can be the mouth, then you have to show me from 1 Corinthians 12 how believing this is in any way a “get out of witnessing free” card, because that is not Paul’s intent in this particular chapter of Corinthians. 2) Paul did not mean for this chapter to be used as a cop out to not preach the gospel. If you remember what I said in the previous paragraph, Paul’s main concern was unity. There seemed to be divisions in the church for various reasons, and the insinuation that Paul gives in numerous verses is that some believed that there were others that were not needed, or that they were not a part of the body because they seemed weaker or less honorable. There might be more background to this, but the main point is that Paul was more specifically targeting the need for everyone within the body and for every spiritual gift, rather than just emphasizing certain ones over the other. 3) Where does “not being the mouth” come into this metaphor? If you read this chapter carefully, when Paul used the metaphor of the body it wasn’t for us to figure out which body part we are (or think we are), it was to help us understand the importance of unity within a human body and relate that to the body of Christ. This was his main point! It is so absurd when I hear people call this person a foot, or that person the hand, or evangelism the mouth. This is not what Paul is saying! 4) When was the last time you did something without all body parts involved? If evangelism is the mouth, does that mean I don’t use my hands or my feet to preach? The Bible talks about feet being beautiful for preaching the gospel (Romans 10:15), so does this mean not everyone can be the feet either? Do I need someone who is the arms carry me to my corner to pass out tracts because I am not gifted in doing it myself? I am being very caustic for a reason. I have become so sorrowfully burdened about these vain attempts to explain away our responsibility to preach that it has caused me great spiritual distress to see professing believers continually making urban legends, like not being a mouth, a popular excuse. The nature of these excuses call into question the salvation of many who call themselves believers (a topic we will explore in the next chapter). I can understand that there are persons within the body who are skilled in certain areas in which others are not. For instance, there are men and women who fly missionaries to their destination for the glory of God. These saints risk their lives to fly over dangerous areas to do amazing things for God. Here is my question though: Just because they metaphorically can be the arms that carry missionaries where they need to go, does that remove their responsibility to preach to the lost themselves? Just because my primary job is “an arm” (I don’t actually believe that, just proving a point) does that mean I don’t have a mouth? If anything, anyone who is supporting evangelism efforts would see the importance of evangelism and would feel the obligation to preach themselves. This example goes for those who mow lawns for the church, who do the finances, those who usher, teenagers in youth group, deacons, pastors, and the list goes on! Your primary duty within the local church includes evangelism. Evangelism is not a secondary duty; it is the indivisible infrastructure of your calling as a Christian! person’s gifting is unimportant. I know that pastors have a part, deacons, leaders, congregations, members, etc. ; all play an important part in the whole of the universal church of Christ. What the revelation of Scripture seems to imply, however, is that none of that infringes upon our call to be faithful in our witness. None of it! There is no such gift of evangelism and there are no Scriptures that we can use to justify this position. If we refuse to accept this reality, then gross apocity among many local churches will continue. And I do not know about how you, reader, may feel about it, but I think God is weary of it. Imagine if Jesus never commanded us to make disciples of all nations. Imagine if no explicit declaration was given. If no “go” was uttered and no commission was discharged. Would it change the necessity of the message to be preached? Would it alter, in any way, the reality that it must be preached? It’s preposterous to think that a person who was pushed out of the way of a bus that was about to hit them would just walk away indifferently, chaining up the story concerning what happened, meanwhile not warning others of the same danger. It would be absolutely insulting to think that a man who was resuscitated from the dead would not be thankful toward the person who accomplished the work, and not publicly praise and declare to others of this person. Then why would some, professingly believing the gospel, not share it with others, seeing that we too were dead in our trespasses and sins and in danger of God’s wrath, and since Jesus revived us and took the punishment in our place? Here’s one idea. Those people never really experienced God’s grace in the first place. Within the gospel is the commission to go preach. The message in and of itself implies and presupposes our responsibility to be a faithful witness. Even if Jesus never uttered a single command to be a witness to the nations, part of the inner workings of the message is that we automatically make disciples of others. Of course, the Great Commission in Matthew and Luke goes into particular details concerning how disciples are made. But nevertheless, if those details were never presented, the lack of effort and motivation that most have to even tell someone the good news is completely contrary to the message they profess to believe. But I already hear one rebuttal. If the gospel implies the commission, then why would Jesus command us nevertheless in Matthew? Answer: Because it was His sovereign will to do so! Also, consider how even when Christ told people to keep their mouths shut concerning His miracles (Mark 7:36), that they still proclaimed it even more! I wonder why they felt compelled to do such a thing? Was it a sin to have disobeyed our Lord at that time? Some say yes. But, once again, how could you keep the good news to yourself? Isn’t regeneration one of the greatest miracles that God does to man’s heart? Let’s compound this a little more by adding one of the reasons the Holy Spirit was given in the first place. The Scripture teaches that it was in order for us to be witnesses (Acts 1:8). In essence, so that we would have the spiritual power to preach the gospel. If no command to preach the gospel was ever given by Jesus, and the message implies the commission, and indeed, the Holy Spirit dwells within us to empower us to be witnesses, then one on hand, if no command was ever given, we would still have all the motivation we need. On the other hand, since the command has been given, if you are sluggish to behave accordingly, you are either sinning, or you’re not born again. Whether you are behaving apocitically or not, this one thing is sure. We have the gospel entrusted to us as believers, and we have been made ambassadors in this world. How much more do you need than what you’ve already been given to be a faithful preacher of the good news of Jesus Christ? Why does it require so much energy for you to make disciples in the world? If not you, then your fellow believer in your local assembly? Or your pastor? If you’re a pastor, then why your congregant? I’m not being nasty. I am heart broken. Why? If this is such good news, then why? If Jesus really rose from the dead, then why? If you’ve truly been taken from darkness into light, why? If the Holy Spirit has saved you and dwells within you, then why? Why cast aside the most comprehensible of God’s commands? It is my prayer that we all grasp the urgency of what we profess and diligently seek to make disciples through gospel proclamation in our local areas. If you have followed DefCon or any other site that affirms gospel-centered theology, you have already run across mounds upon mounds of reasons why lifestyle evangelism is unbiblical. We’ve expounded, extrapolated, and exegeted this to death in order to reveal why trying to win souls by simply just living your life before the unsaved is plainly unbiblical. But the one thing we have failed to do is teach how to engage a person that believes we should simply let our good works shine before men, and then be ready to give an answer for the reason of the hope that lies within you when they ask you. I like to keep the target of an article directly in my gaze. Therefore I will not exhaustively offer my insights as to why I think this strategy of evangelism is good or bad depending on the context. But here is a mock conversation that will reveal the most devastating question you can ask someone that believes in lifestyle evangelism, which will allow the drill of the gospel to penetrate the problem at its core and root out this man-centered method. Lifestyle Evangelist (LE): Would you like a free hug today? You: Sure. What’s it for? LE: We just want to demonstrate the love of Christ and show that we love you? You: Ah. I see. Do you preach the gospel when you get people who are interested? LE: We are showing the gospel by sharing the love of Christ through hugs. You: So what is the greatest demonstration of God’s love to mankind? LE: Jesus Christ dying for our sins. You: So how do your hugs measure up? Did you catch the point? The last two questions really expose the root problem of merely “demonstrating” the love of Christ without opening your mouth about the gospel. And the previous to last question really sets up the penetrating question at hand. If someone feels that they are being more effective (which is pragmatism by the way) by sharing the gospel through their lifestyle and neglect to share the good news of Christ, by asking them, “What is the greatest demonstration of God’s love?” you will bypass any defense and shoot right to the source of why Christians should even bother to spread the gospel in the first place. The sacrifice of Christ for sin! Even more so, when you ask them “How does their (insert good work here) measure up?” it pinches the nerve of this pragmatic error and hopefully causes the hearer to question their means of “spreading” the gospel. Or, in their minds, letting their good works shine. Because it causes the person to take notice that they are basically saying their good work, whatever that may be, is a proper or better demonstration than Christ’s sacrifice for sin. If it is true that Christ died for our sin, and that while we were still sinning, Christ died for us, if this gruesome act is what God had to undergo in order to save men from sin, death, and hell, how in the world could any of our good works ever measure up!? Sure we do good works because we are saved, and yes, as a byproduct of our preaching our good works compliment our message, but there is nothing (and I mean nothing) that we can do (ever) that will be a better demonstration of God’s love other than what He has already done! Let’s read that one more time. This is extremely important. There is nothing we can do to demonstrate the love of God in such a way that would project the glory of the gospel than what God has already done. That should be one of the greatest assurances for fearlessly speaking the gospel. But oftentimes, it’s not. Forgive us Lord for our unbelief. I’m not saying taking up your cross is not a powerful testimony. But it’s not the gospel. I’m not saying you can’t give to the poor. But it’s not the gospel. I’m not saying you can’t show kindness, goodness, meekness, humility, love, self control, gentleness, and the like. But it’s not the gospel. I am not saying that your works amount to absolutely nothing when trying to be a witness in the world. But it’s not the gospel! All these things are types and shadows that should point to the gospel message. And even if they do demonstrate the power and love of Christ in some measure, none of our good works should be held to such a high regard that we think it measures up to the love of Christ efficaciously demonstrated to us on the cross. Tell the old, old story of He who paid an eternal price for our sin and gave Himself for us to make us free from sin’s power! Remember that the above conversation is only an example. Each conversation is unique and can flow in different directions. However, don’t lose sight of the main point. It might take a little persuasion to reveal what you are trying to say, but as long as you keep the last question in sight (really the last two questions), you should be able to drive home the single, most important point of how the gospel should be shared – that we should tell someone what is the gospel, not just show them! To do otherwise is to essentially say that what we are doing is a better demonstration than what God has done. Imagine reaching thousands upon thousands of people and almost never having to open your mouth. Sounds impossible doesn’t it? Other than the fact that millions of professing believers think they can actually accomplish this kind of thing by just living a Christian lifestyle among the lost, there is truly a way which you can do this. Gospel tracts. Passing out gospel tracts is the only true lifestyle evangelism that can reach the lost without necessarily saying anything. Of course, this may not always be the case. There will be conversations started based upon the curiosity of those that take some of the tracts that are passed out. But isn’t that the goal of lifestyle evangelism? Projecting the life of Christ so that people ask you what makes you different? Well, gospel tracts will most certainly do that! But the best part is, if you are unsure, fearful, not eloquent, or just don’t know where to begin in your evangelistic endeavors, gospel tracts are not just a great starting point, but a formidable weapon in the Christian artillery that can be carried around until we enter in the joy of the Lord. I cannot express how many times someone has told me they cannot be a regular, consistent, and purposeful witness simply because they wouldn’t know what to say, or because of their perceived lack of ability. They prefer to let their “light shine” so that their good works will glorify God among the heathen. When I introduce the fact that gospel tracts can help them overcome those fears and apparent lack, I am met with a resounding, “No thanks,” or with other terrible excuses as to why they cannot pass out a simple piece of gospel literature. It astounds me with the amount of timid excuses people make concerning why they “cannot” reach the lost, you’d think that passing out tracts would be going out of style! When it comes to the idea of lifestyle evangelism, if you really want your light to shine before men, pass out gospel tracts! It is a dynamic way to fulfill what you’re hoping to accomplish if speaking a word about the gospel is hard for you. Most of the time, you’d be surprised how much of your lifestyle is of no concern to the unbeliever. That is until you hand them a gospel tract. If I am suspecting correctly, some of us may want to develop the relationship first so that we can reach them more intimately. Perhaps even serving them so as to open doors for the gospel. Nothing wrong with service and friendship. But if you really want them to see Christ in you, tracts will definitely make that happen at lightening speed. Folks may not chase you down, but you will get the gospel to them, which subliminally is our professed purpose for living our lives before the lost anyway, isn’t it? If you want to know what it would be like to preach to thousands of people without saying a word, pass out tracts. If you want your light to shine to that cashier in Walmart, give them a tract after you pay. If you want your waiter to know that you love Christ, leave a generous tip (I MEAN THAT), and leave a gospel tract. If you want your co-workers to know you love Jesus, ask them for their address, send them a gift, and put a gospel tract with it. This goes for your family, friends, and any one else you want to see Christ in you, the hope of glory! It’s not a problem that gospel tracts may not be your “thing.” But if you don’t choose this option and prefer instead to continue in your Christian walk hoping the lost will recognize something in you about Christ, and you choose never to regularly, constantly, and purposefully communicate the gospel toward, family, friends, co-workers, and strangers, then you are a hypocrite and are being apocitic. You’re not practicing lifestyle evangelism, but lifestyle hypocrisy. God has graced us with an amazing gift – eternal life. He’s given us minds to comprehend the gospel, and mouths to tell it. Since that is not enough for some of us, He has given us the printing press by which we can order tracts by the box full. If that doesn’t tickle our fancy, and we are somewhat literate, we have pen and paper at home by which we can use to spread the gospel in our writing if we don’t like the print of others. Regardless of the mode, true lifestyle evangelism is worked out through a Christian not just living out the commandants of our Lord, but teaching others to do the same (Matt 28:20). If it is still too much for you to at least give someone something that can preach the gospel for you if you feel like you are unable, then cast your Christian profession aside and embrace your title as an unbeliever. 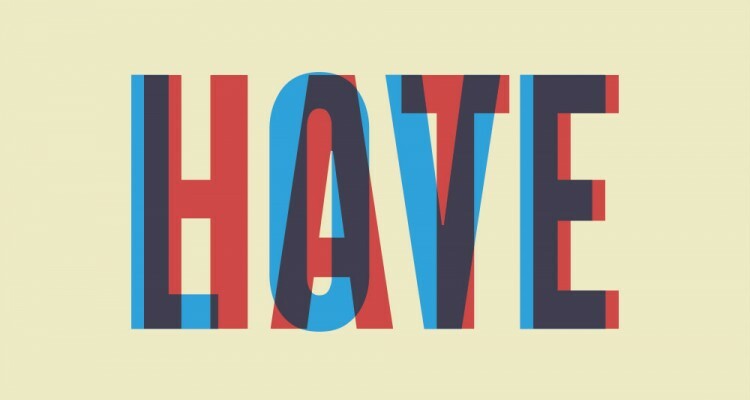 If you’re like me, you cringe when you hear the trite phrase, “love the sinner, hate the sin.” Depending on who who says and hears this, this can be interpreted a multitude of ways. A liberal leaning might mean it as, “love the sinner, accept the sin.” Another way that someone might take this is “love the sinner, accommodate/tolerate the sin.” Of course, whenever this subject comes up with professing Christians, it tends to lean more toward, “love the sinner, don’t talk about the sin.” In other words, love them as they are, and simply share the love of Christ (whatever that looks like these days). But then you have the more dreaded extreme by which certain people love the sinner, by showing the maximum amount of hatred toward the sin. That is, they show that they “love” the sinner through harshly expressing their extreme hatred for the sin. Other than this phrase becoming a mantra for pragmatic church goers who don’t really understand the gospel, and the relationship between God’s wrath and His grace, one of the greatest reasons why this phrase should be offensive to any Christian is that it is attributed to God. Before this idiom was clipped into a nifty little catch phrase for practical application in talking to homosexuals, prostitutes, drug addicts, etc., it was originally stated that “God loves the sinner, but hates the sin.” Meaning that when God looks at a person, His love for them seems to be disconnected from their crime. In essence, God loves the criminal, but only hates the crime. I would love to go into why the Bible doesn’t truly say this about God. But this subject has been greatly dealt with by mainstream writers. My intent here is to ask another question. “Can this phrase be redeemed?” Regardless of how people may feel about this phrase (myself included), is there a way in which we can twist this quaint phraseology to our advantage to start a biblical conversation and get down to the nuts and bolts of what the gospel is really about? I think we can. I attended a men’s Bible study about two weeks ago with my church. We were discussing a chapter in Jerry Bridges’ book, The Joy of Fearing God, and this subject of love the sinner hate the sin was brought up. I thought this would go in the direction it usually goes. People getting offended and drawing strong pragmatic lines, and eventually parting ways. However, that was not the case. Every man at that table delivered some pretty informative concepts concerning the kind of theology this tiny phrase insinuates, and the cautious approach we need to have in accepting/stating this phrase. The most interesting part was how we were able to dissect the phrase in our favor to discuss the biblical model of how God, and how we, should deal with sin. Although this was not their intention in the discussion, it opened up my eyes to the possibility that I can now use this phrase in my favor to preach the gospel. 1. Yes but, do you really love the sinner? If you do, then why won’t you talk to them about their sin so that they might know about salvation. Jesus, Peter, Paul, James, and all Christians in church history mentioned, exposed, and unashamedly condemned sin when they preached the love, mercy, and grace of Jesus Christ and His redemptive work on the cross. And they didn’t just lightly gloss over it. So if you really love the sinner, but hate the sin, then you should at least talk about their sin(s) so that they might come to know Jesus, and why they must be born again! 2. But do you really hate the sin? Think about this, if you really hated the sin, you would talk about it. People are prone to talk about what they are emotionally pleased and disgusted with. This doesn’t mean we turn Westboro Baptist on someone when we preach the gospel, but it is a valid question to ask someone if they lob this phrase at you. If you truly hate the sin, and know that sin is the reason for which Christ died, don’t you think God hated it too? So much so that Christ endured the wrath of God so that guilty sinners can be set free? 3. Love the sinner, hate the sin? Only if it’s biblical. This was one of my favorite points in our men’s meeting (my most favorite is below). If a professing Christian tries to persuade me that I should be more loving toward the sinner, and simply express hatred toward the sin, I would then simply respond, “only if it’s biblical.” This will hopefully spark a conversation about how God both loves and hates the sinner, and that He expresses both anger/wrath just as much as He does mercy/grace. Only God is able to love and hate sin and sinners, and do so equitably, with balance, and without contradiction. I would love to show how the work of election is a crucial puzzle piece that helps us to understand this concept of God’s love/hatred better, but that is beyond the scope of this article. For now, “only if it’s biblical” is a great way to retort in order to get a discussion going. I might not have been able to “redeem” this phrase, but responding in one of these three ways is best when someone decides to press this practical dogma against you. Regardless of how we respond, the idea that we must grasp is that asking the right question(s) about what someone means when they say “love the sinner, hate the sin” will hopefully lead to a conversation about the gospel and God’s greatness to redeem criminals to Himself. God’s hatred and love were both fully expressed on the cross when Christ was being punished on our behalf for sin. God unleashed His holy fury on Christ, who became sin for us. His love was equally poured out by demonstrating in that while we were still sinning, Christ died for us. If we trust in that sacrifice, and repent of our sin, God’s holy hatred and wrath that abides upon us, is propitiated. And although God loves us in the general sense that we are His creation, only His beloved, those that are born again, experience the fullness of His grace, love, and mercy. As I hinted at above, there is a statement that better expresses what should be our reaction toward the lost, and has become my new, favorite rebuttal. If you are a Christian, and you know the true, unadulterated gospel, let this be your mantra: Love the sinner, preach the gospel. (Thank you Sam Young for this quote).